Blue is America's favorite color, and also mine. I use blue in just about every project. Below are 4 of my favorite shades of blue ranging from light to dark. I had to narrow it to 4, because otherwise I would have a list of 100 "go to blues." Benjamin Moore Windmill Wings is a soft, pale blue that would be perfect for a traditional boy's nursery, lovely in a young girl's bedroom with accents in vibrant green, pink and white and right at home in a powder bath. It has a touch of lavender in it and is light and airy. 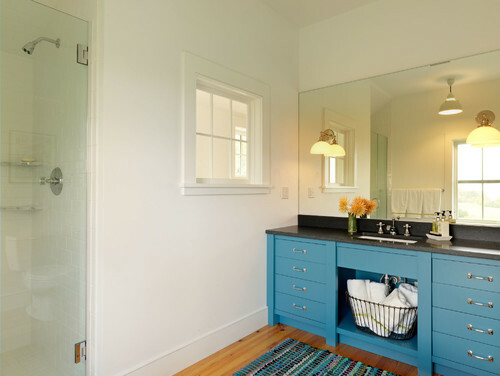 Benjamin Moore Fiji Af-525(shown on this vanity) is a great medium blue that has a touch of green in it as well. I could see this in a bold laquer to really make it pop. There is something about it that is masculine and would also be perfect for a preppy, Ralph-Lauren inspired living room. 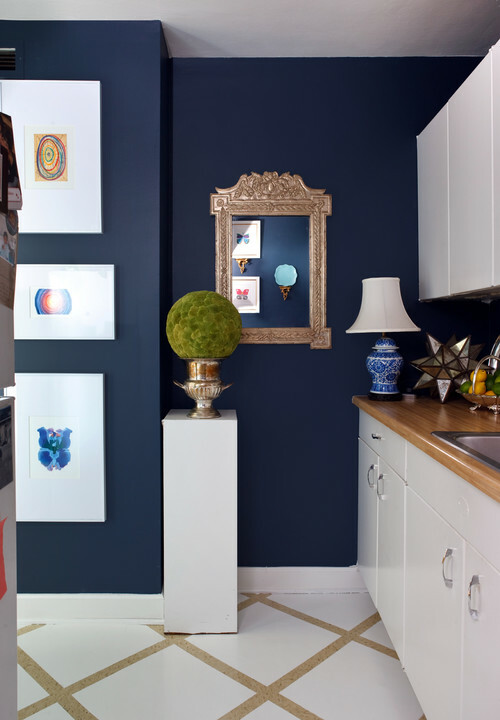 Benjamin Moore Stunning 826 is just that....a stunning deep blue. There are so many ways I would want to use this but I think layering it with several shades of blue and painting the ceiling in a diluted version would be heavenly. Benjamin Moore Evening Sky 833 is a very dark, inky blue that could be mistaken for black in certain light. It is masculine but chic and perfect for anyone ready to make a statement. Where would you use this color?